The check-in tool is designed for businesses that need a quick and easy way to know how many customers are participating in their activities on a daily basis. 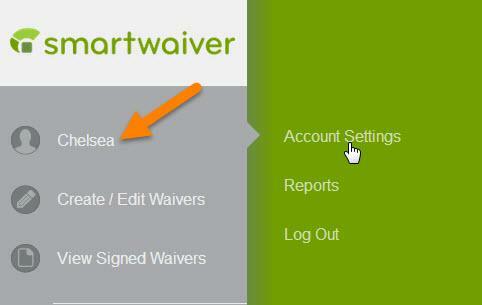 By default, every participant that signs a waiver at your Smartwaiver Kiosk will automatically be checked-in. From your Waiver Console, search for a participant waiver. 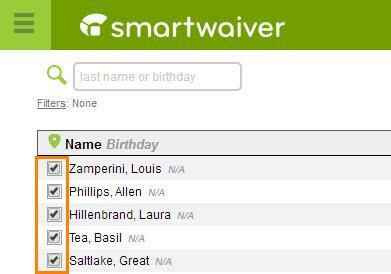 Click on the waiver and then check the box next to the participant name. Alternatively, if the participant's name appears on the first screen of your Waiver Console you can simply place a checkmark next to the name as shown below. A tally of the day's check-ins will appear at the top of the screen. To view which participants have been checked in for the day, simply click on the Check-in icon. To view how many times a participant has checked in, click on the participant's name, be sure that the Check-ins column is selected. When selected, the total number of check-ins for that participant will appear. The number of total check-ins will be reset each day at midnight, local time. 2. 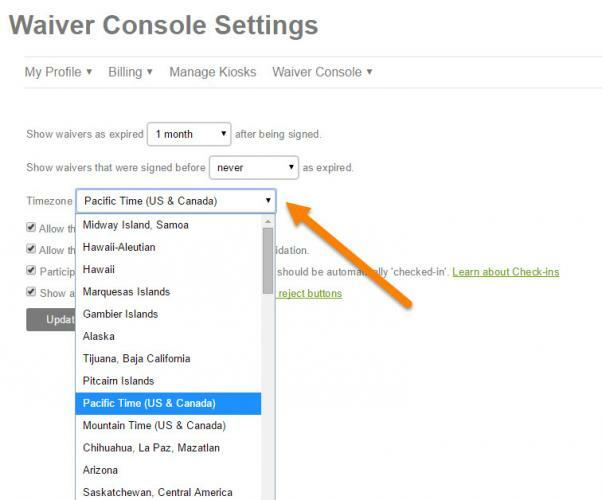 Click on Waiver Console, and then Waiver Console Settings. 3. Select the appropriate time zone from the drop down menu. What does it mean to "Accept" a signed participant waiver?